It was announced today that the 2012 Scotties Tournament of Hearts will be held in Alberta, for the fifth time in the event’s history. “The Canadian Curling Association looks forward to returning to Red Deer and experiencing the same outstanding community support that we enjoyed in 2004.” said Greg Stremlaw, CCA Chief Executive Officer. 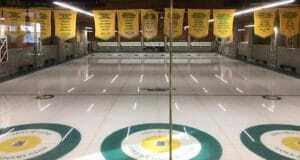 Red Deer is second only to Regina in total attendance at a Scotties Tournament of Hearts. With its central location in Alberta, mid-way between Calgary and Edmonton, the city has traditionally drawn support from both the north and south. Only, Regina in 1998, had an attendance that exceeded the 112,886 record set in Red Deer in 2004. The announcement has met with enthusiastic support from the local community. “The success of an event like this doesn’t come from the work of one” declared Sherri Ryckman, Chair of the Host Committee. “The success will come from the entire community and our curling family.” “I know that Red Deer has the spirit to make this, the 2012 Scotties, the best ever!” declared Ryckman. 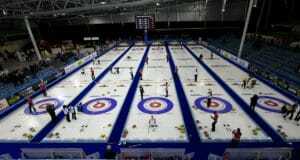 The 2012 Scotties Tournament of Hearts will be held in the ENMAX Centrium, a 6,700 seat multi-purpose arena, from February 18 – 26 with games broadcast daily on TSN. 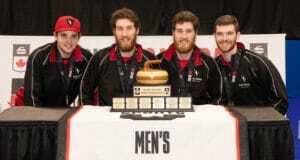 The CCA manages all of the Season of Champions events which currently include the Scotties Tournament of Hearts, the Tim Hortons Brier, Tim Hortons Roar of the Rings, Canada Cup and M&M Meat Shops Canadian Juniors. The CCA also partners with the World Curling Federation in hosting the World Financial Group Continental Cup and the Ford World Curling Championships (when held in Canada.) In addition, the CCA directs high performance programs for Canada’s national elite athletes and provides various programs and services for its member associations Canada-wide.